Over the past 10 years PIQET has worked in the sustainable packing industry with brands such as L’Oréal, Mars, Nike and many more. After a change in PIQET’s ownership in April of this year (2016), we have worked exceptionally hard to improve PIQET and create a Life Cycle Assessment (LCA) tool more efficient and informative then ever. 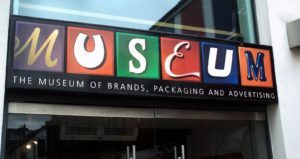 We are proud to announce the new PIQET 4.0 global launch in London at the iconic Museum of brands, 13th of October, 2016. We are even more excited to be organising it with our new strategic partner in the UK, ThePackHub. Life Cycle Assessment is the only internationally recognised way to evaluate the environmental impact of packaging. Suppliers are frequently required to provide LCA data to brand owners, and it is increasingly necessary for regulatory reporting also. But LCA has the reputation of being overly costly and complicated. Especially designed for the packaging industry, PIQET enables small and large companies alike to undertake LCAs in as little as 30 minutes, with limited training. The new version of PIQET has many new features and an enhanced user interface to help companies to report and improve environmental impacts effectively. The event on the morning of Thursday 13th October includes lunch and a tour of the museum. This is intentionally a small, industry-only event. Please email us to enquire about attending.